There will be no incoming or outgoing postal mail Monday, Feb. 20, in observance of Washington’s birthday. 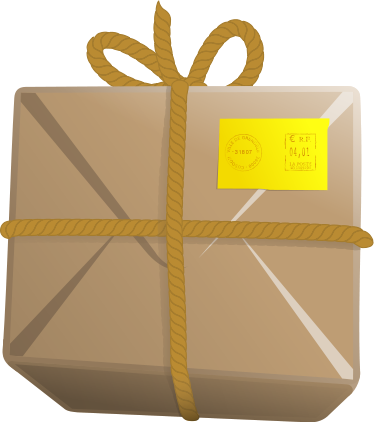 The Mail Center still will be open, and nonpostal deliveries, such as UPS and Federal Express, will be received with regular departmental mail runs taking place. There will be no Juice on Monday, Feb. 27, due to Winter Break. The deadline for the March 6 edition of The Juice will be Feb. 23 at 4 p.m. Please take note of the deadline. On Tuesday, Feb. 21, the Volunteer Action Center will host a Backpack Pack, 11 a.m.-1 p.m., in The W’s Hoover Fieldhouse. To make this event as successful as possible, student groups are asked to sign up for a 15- or 30-minute time slot (possibility of longer depending on interest) to pack food. If your group is interested, click here to sign up. Direct questions to vac@wartburg.edu. Note: Votes do not add up to total votes due to minor campaign violations. Questions can be directed to Hannah Creed. For those students who received an e-mail from the Registrar’s Office on Feb. 9 to complete a Declaration of Major form, Diploma Application (or perhaps both documents), please submit these documents to our office at your earliest convenience. If they are not received by Friday, Feb. 24, a “registration hold” will be placed on your account, preventing you from registering for classes online for the 2017-18 academic year. The forms are available on My Wartburg under “Student ‘Forms” or in the Registrar’s Office, Luther Hall 216. The winter Career, Internship & Graduate School fair will be Tuesday, Feb. 21, 11 a.m.-2 p.m., in the The W’s Hall of Champions. Students are encouraged to dress for success, bring their resumes, and meet more than 50 employers or graduate schools. Click here to see a list of participants. For more information, contact jo.dorrance@wartburg.edu. Invite a friend to join you for Game Knights on Thursday, Feb. 23, 7-10 p.m., in the McCoy Rooms. Whether you like social, strategy, competitive, cooperative, or card games, we’d love to play with you! No prior game experience necessary. Hosted by The Wartburg Store. There will be housing lottery information nights March 7-9, at 8 p.m. in McCoy East, for any student who needs more information about the process. Please click here for specific sign-up nights as well as floor plans for the different buildings. Lottery cards will be available in student mailboxes after Winter Break. Save the date for the annual Wartburg College Alliance Drag Show on Saturday, March 18, 7:30 p.m., in Neumann Auditorium. We are looking for performers; no experience necessary. Click here for applications. This year’s theme will be the ’80s, and there will be prizes for the best student and faculty/staff performer. Direct questions to cassie.hales@wartburg.edu or alliance@wartburg.edu. The Wartburg College Castle Singers, under the direction of Dr. Nicki Toliver, will embark on an 11-concert recruitment and enrichment tour through southeast Iowa, Indiana, Kentucky, Georgia, and Florida, beginning Friday, Feb. 24. The Singers’ eclectic choral program also features members of Wartburg’s string ensemble, Kammerstreicher, under the direction of Dr. Jacob Tews. Click here for tour details. The group's home concert will be April 8, 4 p.m., in Wartburg Chapel. Applications are being taken for 2017-18 Student Media leaders. Click here to see positions and descriptions. Applications are due Friday, March 10, at 4 p.m. The Wartburg Choir and Iowa State University’s Cantamus women’s choir will perform in the Wartburg College Chapel at 5 p.m. Thursday, Feb. 23. The concert will feature the choral ensembles’ National American Choral Director’s Association performance literature. Free-will offerings will be accepted to help offset the cost of travel. More than 400 choirs from around the world applied to perform at the 2017 National ACDA convention; only 25 were accepted. 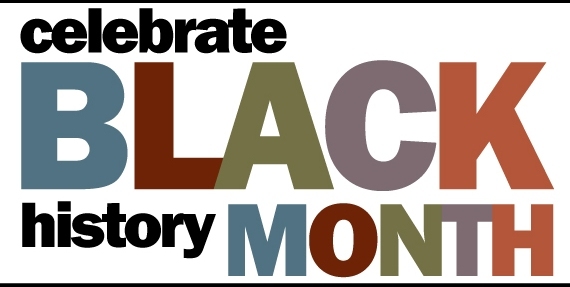 Wartburg’s Black Student Union is planning several events to celebrate Black History Month. Direct questions to bsu@wartburg.edu. Candlelight Dinner: Wednesday, Feb. 22, 6:30 p.m., in the Heritage Ballroom. The Black Student Union will discuss its organization as well as Black History Month while students, faculty, and staff mingle over dinner. Pre-registration required. The Slam: Thursday, Feb. 23, 8 p.m., Cardinal Commons. The Slam will feature singing, dancing, and poetry and will be a chance for students to display their talents. The event is free, and everyone is welcome. Applications for students applying to the sophomore program for fall 2017 have a deadline of March 9. Summer 2017 is full. Submit all materials and any questions to Jo Dorrance in Student Life. Wartburg College’s German-language film series, Profiles in Courage, concludes Tuesday, Feb. 21, with a showing of Jack. The film, which will be screened with English subtitles, begins at 7:15 p.m. in WBC 116. All screenings are free and open to the public. Students will introduce the film and lead a discussion following the viewing. Additional information is available at www.wartburg.edu/german-film/. There will be no Sunday worship services the next two Sundays (Feb. 26 and March 5) due to Winter Break. Also, no weekday chapel services or Sanctuary during break. God’s blessings on your winter break! Maria Munguia Cortes ’20 will use a Wartburg College Service Trip to give back to her community in Immokalee, Fla., as reported by the Naples Daily News. The Waterloo-Cedar Falls Courier previewed the college's spring sports. Mary Robinson ’72 talked about her work in the church and with immigrants with the Waterloo-Cedar Falls Courier. The wrestling team secured its 25th consecutive conference title with a 32-0 win over Loras, as reported by the Waterloo-Cedar Falls Courier. The women's basketball team clinched a share of the Iowa Conference regular-season championship with a 77-54 win over Luther, as reported by the Waterloo-Cedar Falls Courier. Dr. Lee Nelson, Patricia R. Zahn Endowed Chair in Choral Conducting, conducts a concert at Carnegie Hall on Feb. 19, as reported by the Waterloo-Cedar Falls Courier.